I was telling you how cold it is here lately. The weather has decided to give us a break. It is above 0 degrees Celsius again! Practically tropical in these parts! This outfit today is both warm and easy to get around in. 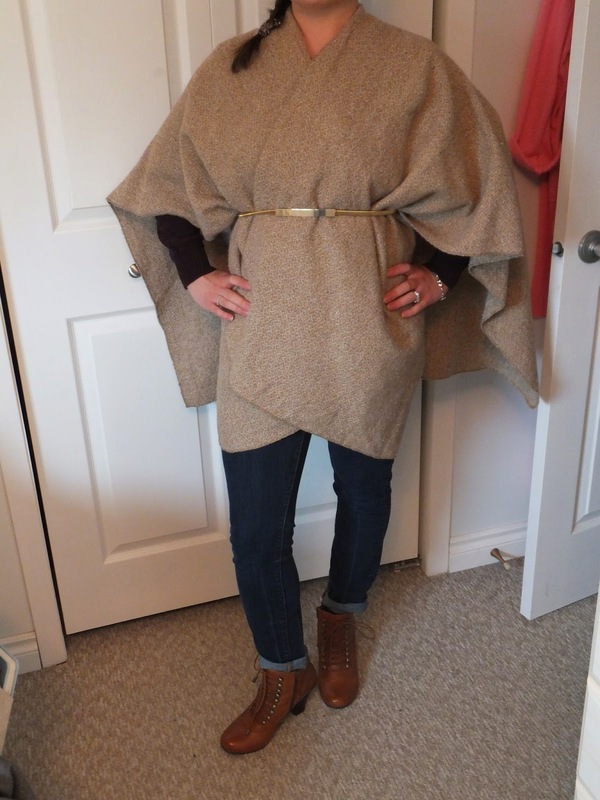 The wool shawl is super warm and the belt helps keep it closed when I am out in the wind. The outfit looks good, even without the shawl on and is super practical. I love my boots! They are cute and easy to walk around in. The low, chunky heel keeps me upright. I have added my faux leather jacket back into the mix. I needed to have something to help add shape to outfits and I needed a jacket for these warmer temperatures, where my big winter coats are just too warm. I hope you are all having a great week! 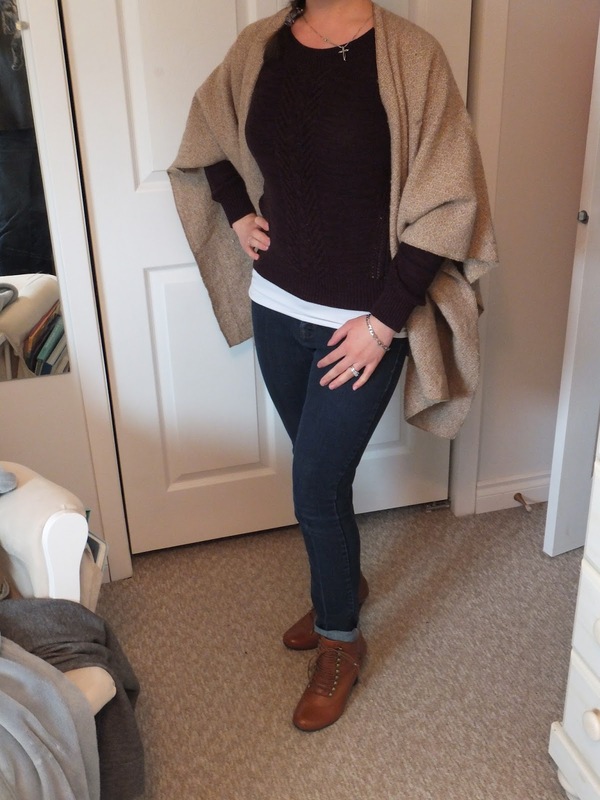 Tweet me @peacefulsimple and show me your #wardrobewednesdays look!